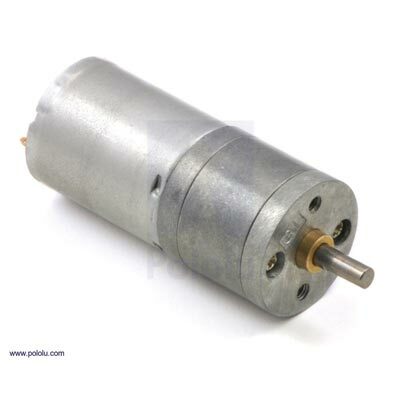 9.7:1 Metal Gearmotor 25Dx48L mm HP 6V. 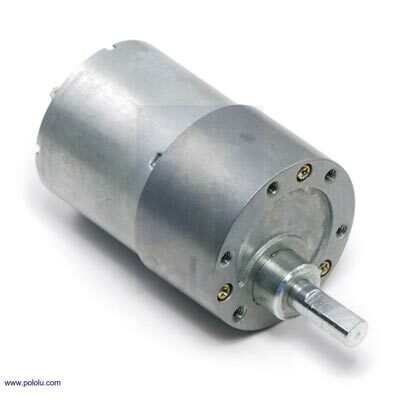 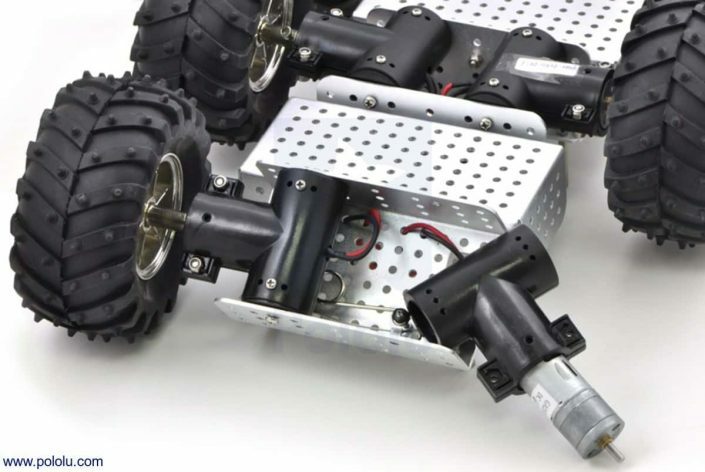 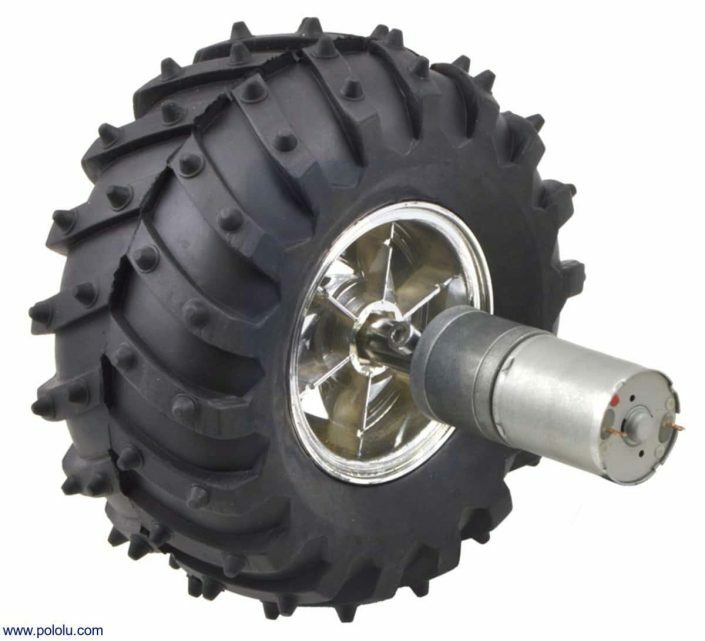 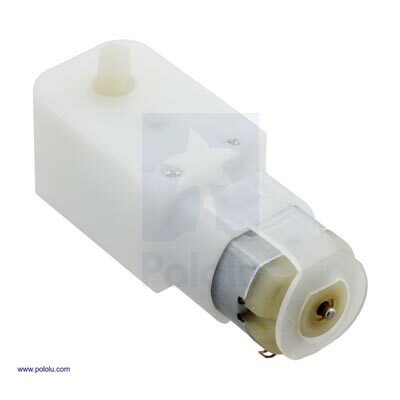 This gearmotor consists of a high-power, 6 V brushed DC motor combined with a 9.68:1 metal spur gearbox. 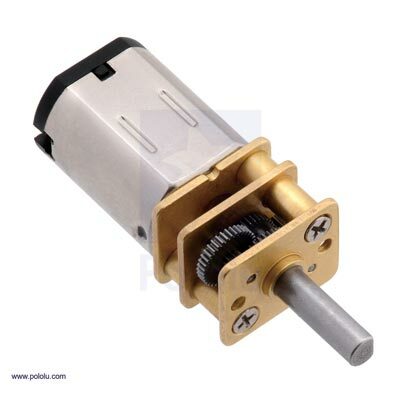 The gearmotor is cylindrical, with a diameter just under 25 mm, and the D-shaped output shaft is 4 mm in diameter and extends 12.5 mm from the face plate of the gearbox. 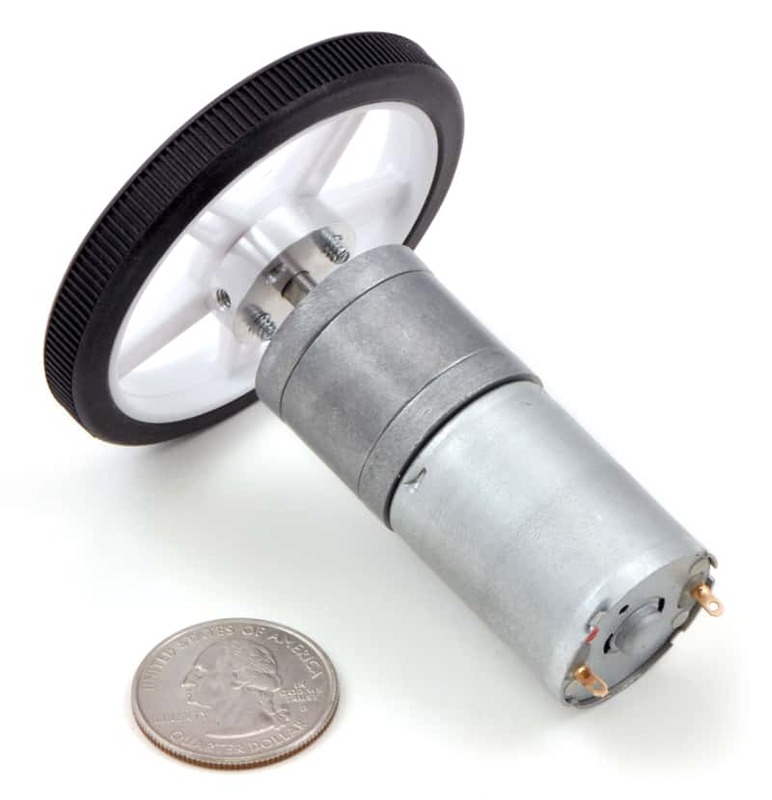 Key specs at 6 V: 990 RPM and 550 mA (max) free-run, 39 oz-in (2.8 kg-cm) and 6.5 A stall. 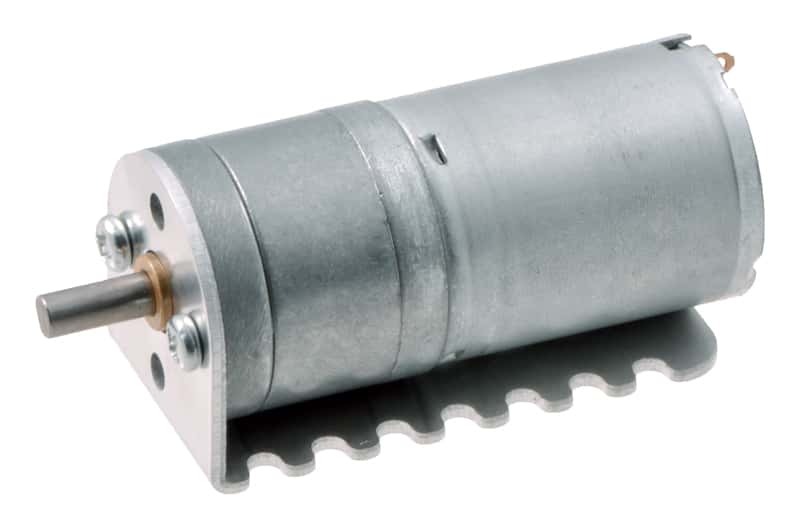 The diagram below shows the dimensions of the 25D mm line of gearmotors (units are mm over [inches]).